As we head into the new football season with high hopes for our respective clubs, there is one thing that we can be relatively confident in: amongst the bore draws, the last minute winners and the moments of individual brilliance that we, as medical staff will encounter at least one hamstring injury to rehabilitate. On average, Ekstrand et al. (2011) found that we should expect to return at least two of these specific injuries to play each season and that it’s the most common injury that we see over the course of each football season. So, what can we do to try and counter/reduce the burden of hamstring injuries in elite football? Factors contributing to hamstring injuries are heavily researched, discussed and very complex. This means that we cannot attribute hamstring injuries to one single contributing factor. This blog will break down three specific risk factors for hamstring injury and what we can do to address them. The good news for us is that the biggest risk factor to future hamstring injury can be identified in a test which takes about 5 seconds and requires no specialist equipment. This test, is simply the question: “have you had a previous hamstring injury?” I find that players quite like this screening test as it requires no physical effort, although the reliability of their memory is one significant drawback. This means that it may require an immediate re-screen question: of “So you have definitely never had a hamstring injury in the past?” at which point their memory might just be jogged enough to provide you with a positive screening result! Why is this simple test so effective to identifying future injury, and what does it potentially indicate? 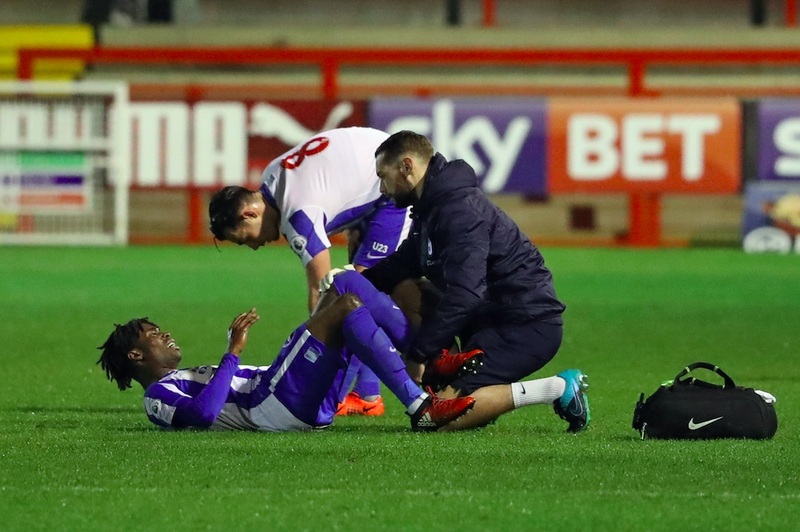 Well, research suggests that if our player does report a previous hamstring injury then they are at a significantly greater risk of suffering from a subsequent hamstring injury (Hagglund, Walden & Ekstrand, 2006). What are the reasons behind this increased risk? Again, this issue is up for debate, but the work of Opar et al. (2013) suggests that previously injured players present with a statistically different eccentric knee flexor strength profile than those players who had not suffered from a previous hamstring injury. Timmins et al. 2017 also suggest that these previously injured hamstrings are not only weaker, but also have architectural changes, with decreased Biceps Femoris fascicle length displayed on ultrasound examination. Both of these factors are also associated with increased risk of hamstring injury in the previously uninjured athlete. The contribution of decreased eccentric knee flexor strength was originally commented on by Opar et al. (2014) who reported that low levels of eccentric knee flexor strength in preseason testing meant that athletes were at a 3.3 fold greater chance of subsequent injury that season. These findings were in line with the work of Timmins et al. (2016) who identified a greater risk of injury in those athletes who displayed eccentric knee flexor strength of below 337N and also fascicle length in the Biceps Femoris of less than 10.56cm. Remember that previously injured athletes display both eccentric knee flexor weakness and architectural changes in their affected limbs and you will hopefully now see the significance of previous injury?! Fascicle length is an area of research that has gained momentum since its identification as a risk factor (Timmins et al., 2016). We have seen that athletes with previous injury have decreased fascicle length throughout the course of the season (Timmins et al., 2017). All athletes appeared to demonstrate an initial increase in fascicle length in the first two months of the season before these improvements showed a gradual decline over the course of the season. So, if we know that our injured players are demonstrating eccentric knee flexor weakness and shorter fascicle length, and if we are also fortunate enough to have the equipment to be able to identify our at uninjured at risk players who also present with this profile, then what can we do about it? Eccentric training appears to be an appropriate exercise selection choice. The most extensively researched of these eccentric hamstring exercises is the Nordic Hamstring Exercise (Al Attar et al., 2017). There has been demonstrated reductions in hamstring injury rates of up to 51% with programs utilizing the Nordic Hamstring Exercise. Alt et al. (2018) highlighted an increase in eccentric knee flexor strength of between 8% and 14% depending upon the velocity of testing. Presland et al. (2018) also found similar results with eccentric strength increases of between 14% and 20% demonstrated dependent upon the volume of the exercise performed. Presland et al. (2018) also highlighted the potential statistically significant increase in fascicle length of 2.4cm within both the high and low volume groups in their study. These findings echoed the earlier work of Bourne et al. (2017) who showed similar increases in fascicle length within their Nordic Hamstring Group. It is also worth noting that similar increases in fascicle length were displayed utilizing the hip extension exercise in this study. The exact timing and volume of eccentric hamstring training is a discussion for another time due to the complexities and ability to achieve slightly different physiological outcomes with prescription changes. Also there is potential difference in adaptations for previously injured and uninjured athletes (Opar et al., 2015), however what this blog hopefully highlights is the potential influence of eccentric hamstring training on the two key modifiable risk factors in that may occur as a result of previous injury, or in isolation from this non-modifiable risk factor. Adam Johnson @PreventionPhys is a First Team Performance Physiotherapist at Brighton & Hove Albion. He is responsible for the provision of injury prevention strategies for the First Team squad. His interests lie in understanding the mechanisms and predisposing factors for injuries in football, and specifically hamstring injuries. Al Attar et al. (2017). Effect of Injury Prevention Programs that Include the Nordic Hamstring Exercise on Hamstring Injury Rates in Soccer Players: A Systematic Review and Meta-Analysis. Sports Medicine, 47, 907-916. Alt et al. (2018). Velocity-specific and time-dependent adaptations following a standardised Nordic Hamstring Exercise training. Scandinavian Journal of Science & Medicine in Sports, 28(1), 65-76. Bourne et al. (2017). Impact of the Nordic hamstring and hip extension exercises on hamstring architecture and morphology: implications for injury prevention. British Journal of Sports Medicine, 51, 469-477. Ekstrand et al. (2011). Injury incidence and injury patterns in professional football: the UEFA injury study. British Journal of Sports Medicine, 45, 553-558. Hagglund et al. (2016). Previous injury as a risk factor for injury in elite football: a prospective study over two consecutive seasons. British Journal of Sports Medicine, 40, 767–772. Opar et al. (2013). Knee flexor strength and bicep femoris electromyographical activity is lower in previously strained hamstrings. Journal of Electromyography and Kinesiology, 23(3), 696-703. Opar et al. (2014). Nordic hamstring exercise weakness is a risk factor for hamstring injury in elite Australian football: A prospective cohort study. Journal of Science and Medicine in Sport,18, e140. Opar et al. (2015). The Effect of Previous Hamstring Strain Injuries on the Change in Eccentric Hamstring Strength During Preseason Training in Elite Australian Footballers. American Journal of Sports Medicine. 43(2), 377-384. Presland et al. (2018). The effect of Nordic hamstring exercise training volume on biceps femoris long head architectural adaptation. Scandinavian Journal of Science & Medicine in Sports, 28(7), 1775-1783. Timmins et al. (2016). Short biceps femoris fascicles and eccentric knee flexor weakness increase the risk of hamstring injury in elite football (soccer): a prospective cohort study. British Journal of Sports Medicine, 50, 1524-1535. Timmins et al. (2017). Effect of Prior Injury on Changes to Biceps Femoris Architecture across an Australian Football League Season. Medicine & Science in Sports & Exercise, 49(10), 2102-2109.